Step 3: From here you have two options to how you can reset your password, 1) by email or 2) by answering a set of security questions. Note: If you have two-factor authentication on your screen will look a little different. Step 4: If you choose to reset your password via email you will be sent instructions to your primary email address or your rescue email address if you have one set up. The email will be sent when you see a page with a green tick and a big, “Email has been sent.” If you can’t find the email instructions check your Spam, or Junk folders just in case. Otherwise you can go to the other option of answering your security questions. But what happens if you’ve forgotten the answers to your security questions? It’s okay, it’s not the end of the world. Step 4: Choose your three questions using the drop-down menus and type in your answers for each one. Make sure that these are questions that only you would know the answers to! Well hopefully they are. Click on “Continue” and you’re done! 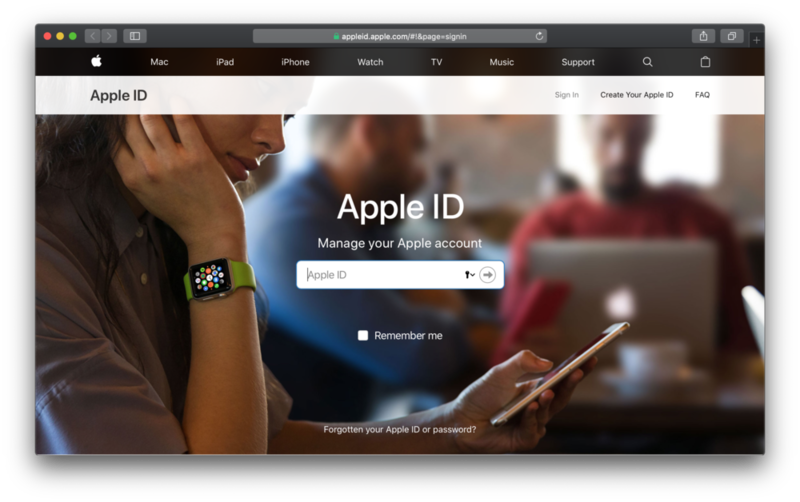 If two-factor authentication is enabled…resetting your password is easier because all you need is either your trusted iPhone, iPad, iPod Touch, that have Passcodes enabled or you can also reset from your Apple ID account page. Step 4: Follow the next few steps then enter your pass code. Reset your password! All done! Now, if you’re still finding it difficult to reset your password, don’t forget that you can get in touch with us via our contact page. If you’re in Perth or Sydney we can come directly to you and help you out as well! Update your Apple ID and password on your iPhone, iPad, iPod touch, Mac, and PC. Go to Settings > (your name) > iTunes & App Store. If you're signed out, enter your updated Apple ID and password. If you're signed in with your previous Apple ID, tap your Apple ID, then tap Sign Out. Then enter your updated Apple ID and password. Click on the Shopping Bag icon, then click Account. In the Account Settings section, click Apple ID and password. Enter your updated Apple ID and password. You will also have to update your login details by Signing Out then Signing back in to other apps such as FaceTime, iCloud, Find my iPhone, etc. Some of Reece’s favourite features in new iOS 12 from Apple. 10 Things to look forward to in Apple’s iOS 12! 1. Turn yourself into an animated emoji! (for iPhone X) You saw Apple introduce Animojis in it’s last update, but now you can create a personal animated emoji called Memoji! 2. Group FaceTime. Finally! You’ll be able to FaceTime multiple people at once. The new update will be able to support 32 people in one FaceTime call. 3 Siri just got smarter. Siri will also be seeing a significant update in iOS 12. She’ll be able to answer a larger variety of questions, even about famous people, and is integrated with more third-party apps. 4. Screen Time. This new feature is part of the comprehensive set of time management and focus tools in the new update. This feature provides repost on your weekly activities based off how you use your device. This includes how much time you spend with individuals apps, how often you pick up your phone and the duration you spend on your iPhone or iPad. You can also set a time limit on specific apps as part of the new Parental Controls. 5. Do Not Disturb. There are two new updates to Apple’s Do Not Disturb feature. There will be one for bedtime, allowing you to turn off notifications at night, only being able to see the time, and you can also control it’s ending time. You will also be able to control the duration of Do Not Disturb while at a particular location or in a meeting. 6. Grouped Notifications. This feature has been added into the new update to make viewing and managing notifications from a single app easier. 7. Improved Privacy and Security. One of the new features you’ll be seeing in iOS 12 is strong password suggestions. It’ll also be able to let you know if your password is weak or strong. 8. Multiple Faces in Face ID (for iPhone X). An update that you may have not heard is the ability to “Set Up An Alternative Appearance.” This may be for people who may want more than one face to unlock a phone, like a couple who shares their phone perhaps? 9. Face ID Rescanning (for iPhone X). If you’re like me and sometimes get frustrated when the Face ID doesn’t recognise your face straight away, there fore having to lock and then unlock your phone again to rescan, the new update takes this issue away. Instead, to re-initiate the scan, your just have to swipe up from the bottom of the phone. 10. Battery Info. Finally, after much beta testing, the new iOS 12 will see a more comprehensive way of viewing your battery’s information. With a detailed usage chart you’ll be able to see usage data from the last 24 hours or the last 10 days. So with these updates coming soon to your iDevice, I hope you’re just as excited as we are. These are just the few features coming soon as there is plenty more! 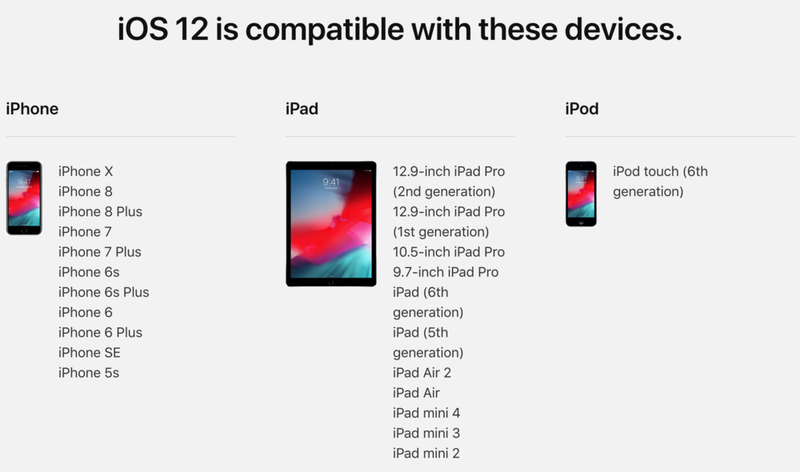 You can preview more of iOS 12's features on Apple's website. Ever wanted to learn more about using your Apple iPhone or iPad? Come along to a free 1 hour session with an Apple expert, in a relaxed group environment at a great café! With the latest iOS updates coming out from Apple you may have heard the term AR being thrown around. Many App developers are taking advantage of Apple's move towards AR improvements to make apps more interactive and immersive. AR is different from VR. In the instance of Virtual Reality, a headset or visual device is used to immerse you in a virtual/digital environment, whereas AR blends both the digital and real world. What is AR? Short for "Augmented Reality" it brings the digital world into the real world through the lens of your iDevice. Many Apple app developers are starting to take advantage of AR to make their applications more immersive and interactive. You would've seen this feature in the Pokémon Go app, which took the world by storm! Popular social media apps like Snapchat and Instagram have now also integrated AR features for their users to have more fun. The AR feature is also a great tool for businesses like Ikea who have recently released their Ikea Place app, which allows you to place their products into your living space to have a 'preview' of what it would look like. Here's a video from the good folk of Mashable explaining AR a little further. Who knew that Dwayne 'The Rock' Johnson and Siri would make quite the epic pair! With iOS 11 on it's way we're going to be seeing quite a few significant improvements to Apple's Siri. Some of these include a much more natural voice for Siri (both male and female), an option to type to Siri instead of asking out loud, to save you from embarrassment, and giving better intuitive suggestions based off Siri observing your interests as you use your phone. But first let's just bask in the awesomeness which is that of The Rock fulfilling his life goals with Siri in hand! You can find out more about what Siri can do for you here. Get Technologically Fit with Setup Sync & Learn - the Apple experts. Sharing WiFi with your friends has only gotten easier! Are you as excited for the release of iOS 11 as I am? Well, with the upcoming new iOS Apple has made it easier for you to share your WiFi details. No need for pulling out a card, a notebook or that scrap receipt with your password scribbled on the back to share your passwords with your friends. With iOS 11 you can now automatically send passwords to nearby devices - ie. an iPhone, iPad, MacBook, etc. Those who have iOS 11 on their devices can simply join your WiFi network through one simple tap too! No need to tap out the long complicated passwords on your friend's phones! You can see it in action here with this article from 9-to-5Mac. With a the new iOS 11 coming out, don't forget to backup your iPhone or iPad as well! If you can't remember how to backup manually just follow this link to one of our previous posts on how to backup your iDevice manually to your computer. Don't forget to also Like & Follow us on Facebook to be updated with the latest tips, articles and offers! Did you manage to catch Apple's Special Event this week online at their World Wide Developers Conference? No need to have the feeling of FOMO (Fear Of Missing Out) as you can watch the whole presentation on their site here. To put it in a nutshell for you, here are the new things that Apple announced at the latest WWDC. The new iOS 11 coming soon to your iDevice packed with new features! Introducing a new housemate, the HomePod, a high quality speaker and AI for your home or office. Stay tuned to our blog to learn more about the new things coming out of Apple by following and liking us on Facebook! What Is Ransomware? In a nutshell Ransomware comes in two forms. The first is where all your data becomes ENCRYPTED and then a pop-up will occur asking for payment to decrypt your data. This is one of the most popular forms of Ransomware, but rarely has it affected Apple. The second form is when you are LOCKED out of your device and a pop-up notification can appear asking again for payment to have your device unlocked. This form of ransomware has personally happened to me, but lucky enough I was able to recognise it and deal with it. How Do I Deal With Ransomware? When hit with a Ransomware attack there’s no blaming a person for panicking. It can be quite overwhelming and also invasive. There are quite a few simple steps though into dealing with it. Always have a back up - I cannot stress enough how important it is to always back up your iPhone, iPad or Macbook! It’s as simple as backing up your iPhone/iPad to iCloud or to your computer via iTunes. For you MacBook users you can easily go out and buy an external hard drive and set it up with Time Machine. Change your passwords - Log in to your AppleID account and change your password. Majority of the time this is the case in Ransomware attacks where your account has been compromised. When my iPhone was affected by Ransomware the first thing I did was log on to my AppleID account, reset my password and then restored my phone from a previous backup. 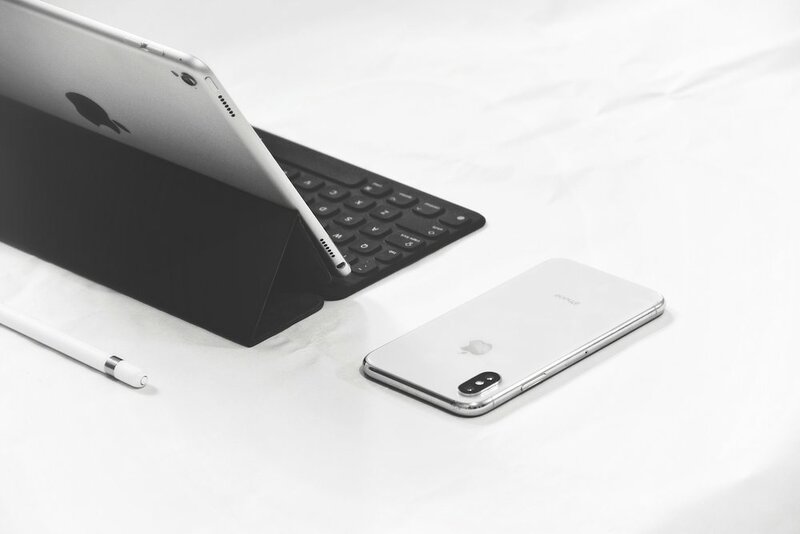 Keep your devices updated - Apple has always been on the ball with keeping its security up to date so it always good to make sure your iOS and OS X are always updated. Read before you click! - Sometimes the easiest way to be affected is via email by clicking on random links, or by clicking on random pop-ups in your browser. If you do get a window pop-up that you don’t recognise simply shut it down. Not by clicking on the red ‘X’ in the top left hand corner though, but by pressing COMMAND + ‘W’ because sometimes the window itself can have an ‘invisible link’ or a fake ‘x.’ These cyber buggers are tricky like that! Try to avoid unprotected websites - The most simple way to tell if a website has good security is to look at the web address at the top of your Safari browser. If there is a padlock icon next to it then the site is protected. Apple has just released the latest update for your iPhones/iPads with iOS 10.3.2, so please back up and update your devices ASAP! If you do find yourself in a pickle with Ransomware though and are feeling overwhelmed with how to deal with it, you can always give us a call or an email to book a meeting for us to help you out.